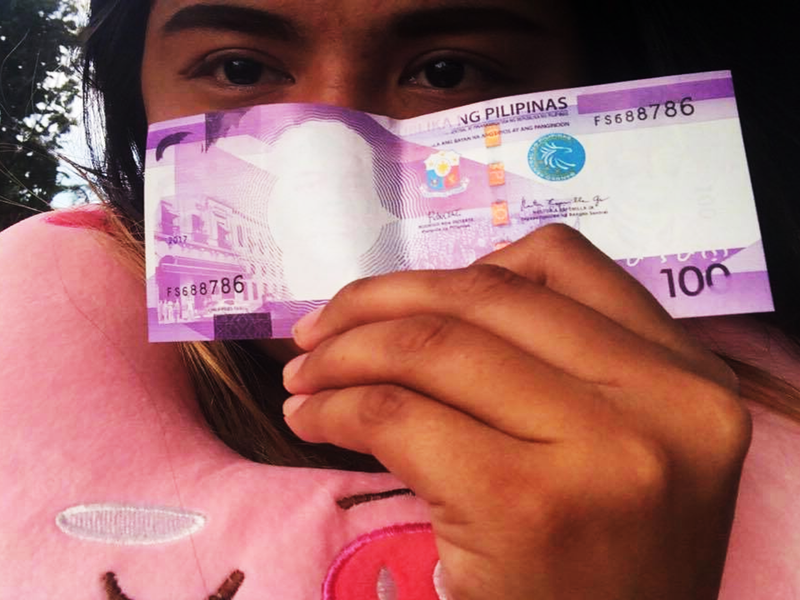 Investigation is underway regarding the "faceless" one hundred peso bill a netizen claimed to be withdrawn in an ATM machine on Christmas day. However, Bangko Sentral ng Pilipinas (BSP) Governor Nestor A. Espenilla Jr. yesterday said the “faceless” peso bills seemed to be an isolated case. 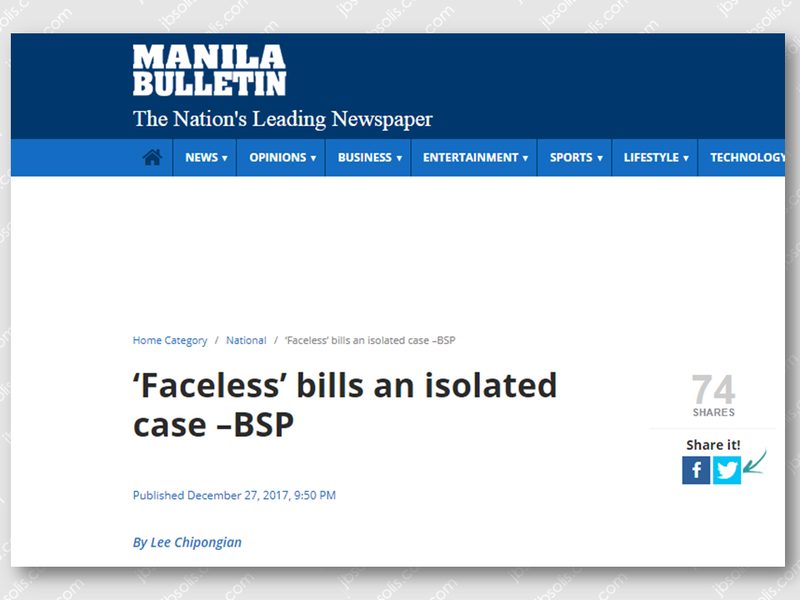 Initial findings conducted by the Central Bank, show that the so-called “faceless” bills is not a widespread incident. “It’s clearly looking like an isolated incident at this point,” said Espenilla, after confirming that they are currently investigating this issue. 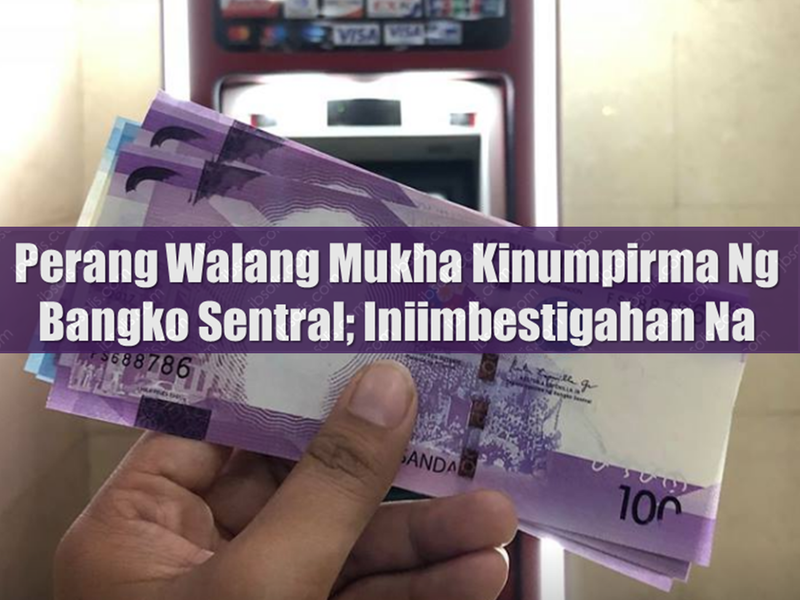 It was reported that the Bank of the Philippine Islands (BPI) ATM in its Libis branch had dispensed P400 worth of “faceless” banknotes. The withdrawal allegedly was transacted on December 25, Christmas Day. Owen Camayo, BPI spokesman said they have asked the BSP to verify the “faceless” P100 bills. “Let’s wait for the BSP to announce their findings,” he said. “On our part, we are conducting our own investigation on the matter and validating the concerns” of our client-depositor,” he said. 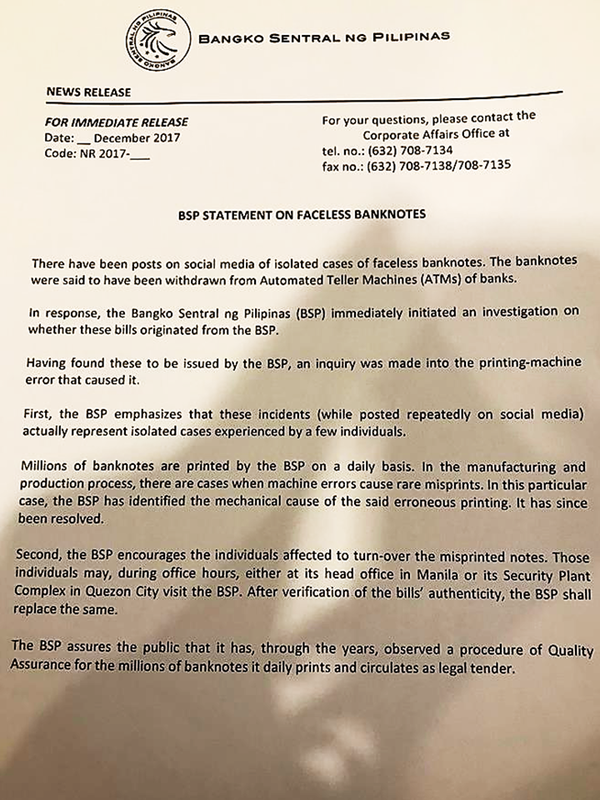 The “faceless bills” went viral after it was posted on social media by a certain Earla Anne Yehey on Christmas day. The post was a photo of four P100-bills without the face of President Manuel Roxas.